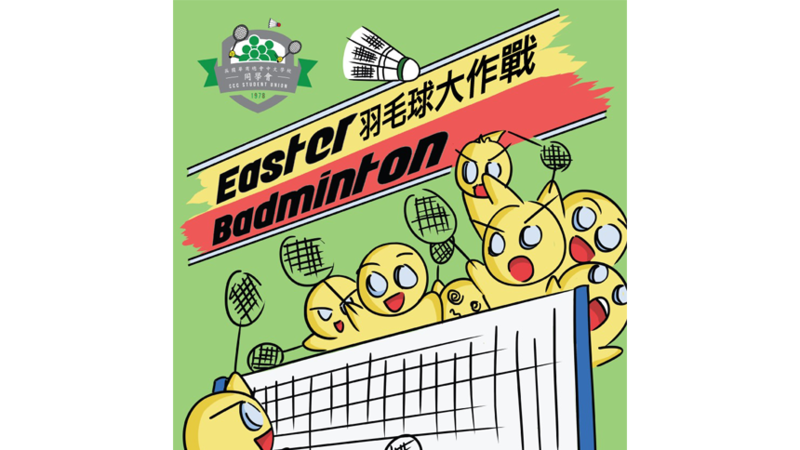 Easter holiday is steadily approaching us and therefore the CCC Student Union has planned a opportunity for students to face off their friends and even teachers in the badminton! You will see information about the event on the posters everywhere around the school. If you have any further questions, please do not hesitate to find the people in green, Mr.Lam and Miss Liu which you frequently see pop into your classrooms, therefore there shall be no excuses for you not recognising them. You can find them in the office on the first floor! Thank you and I hope to see you on court!